Opening their eyes to how the world around them works, Dash and Dot guide kids through the world of coding and robotics, turning ideas into adventures. 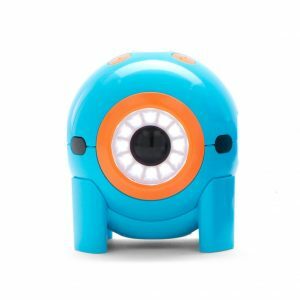 Dash and Dot are exciting, hand-on learning tools for students in grades K-5! Targeted at teaching creative problem solving, coding and robotics, Dash & Dot give every student a head start on fundamental STEM principles and 21st century skills. Students send commands to robots to move them, light them up, and have them detect the world around them using 5 free coding and robotics applications available on iPad and Android tablets. There are no limits to what your child can do with Dash! 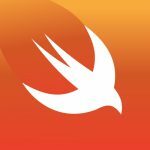 There’s a Dash app for every age group, learning level, and play style. Wonder makes robotics as delightful as finger painting. A picture-based coding language built for kids, children create detailed behaviours for Dash, creating the robot pet, pal or sidekick of their dreams. Designed for children aged 8 and above, Blockly introduces advanced concepts of coding through playful projects and puzzles. Exploring variables, events, conditionals and more, Dash becomes a dancer, adventurer, artist and prankster, powered by kid’s code. Program Dash to be a musical performer with Xylo. Used with Xylophone accessory, kids can program Dash to play their favourite song or make new tunes of their own. With Path, kids start with the fundamentals of robotics and coding before they can read! Drawing a route on their tablet or smartphone, children send Dash on journeys around the house with their code. Give Dash a new name, spin in a circle, blink a robot eye and more! Exploring the robot’s lights, sounds, sensors and movements, Go is the first step to getting to know all that Dash can do. Dot is the brains of a robot. Dot comes with several games you can play right out of the box, such as Magic Dot Ball, Dot of Music, and Light Sword. Using free apps Wonder and Blockly, you get to see how these games are created, and make over a hundred more of your own games — no books or camps needed! There’s a Dot app for every age group, learning level, and play style.